They say that time flies when you’re having fun, but I think it’s equally true that time flies when you don’t have quite enough of it. The past couple of months have been a fair whirlwind of activity for the 0to8848 expedition. 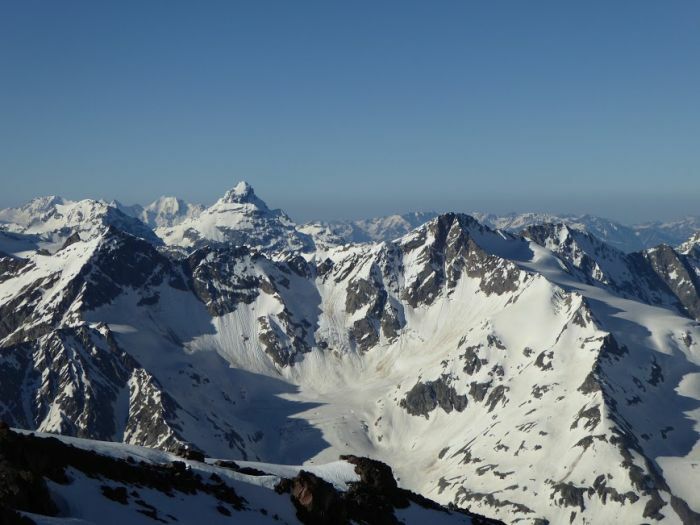 The catalyst for that activity has been our recent trip to Russia and ascent of Mount Elbrus, the highest peak in Europe topping out at 5,642m. 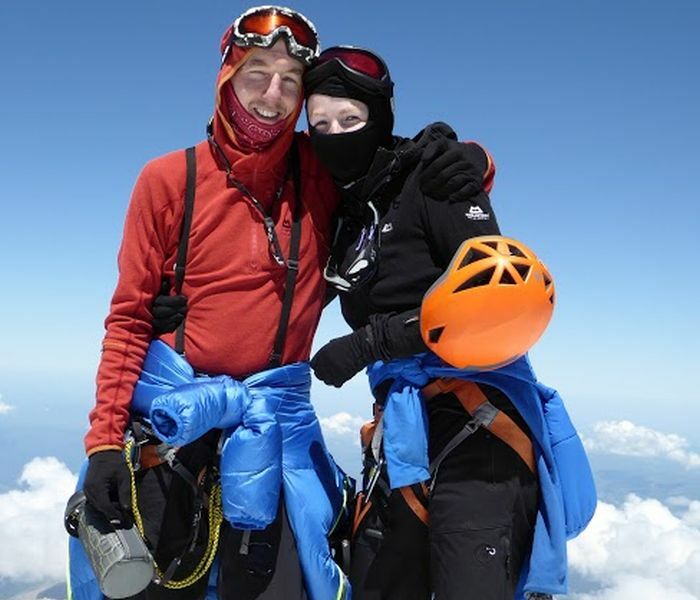 We climbed Mount Elbrus as part of a group guided by Alpine Ascents, out of Seattle, America. As we’d had a great experience climbing Mount Rainier with them stateside we’d decided to stick with them in Russia. Our expedition was guided by Vern Tejas, a man famous for crazy solo expeditions on Denali, amongst other things, and his wife Carol. We were part of a group of 15 attempting the climb, and were definitely a bit taken aback by the size of the group. I think it’s very hard to get a good group dynamic going with a team that big, though the guide ratio was fine for the climb itself. We met the group in St Petersburg, and after a couple of days of soaking up the culture we flew out to Mineral Vody. From there, a three hour bus ride took us out to our destination of Terskol at the foot of the Caucasus. For me, one of the fantastic things about this challenge is visiting mountain ranges in other countries, arguably the most beautiful part of any country! I’ve not spent a lot of time in the Alps but the Caucasus are, I believe, very alpine in character with intense green meadows rising incredibly steeply to disappear into snow and glacier and, ultimately, jagged peaks. 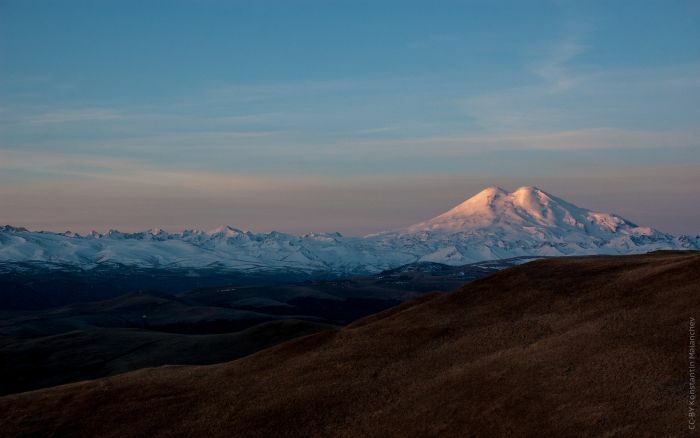 The exception to this, we were to see when the cloud cleared, is Elbrus. Set apart from the main Caucasus ridge, it is – although imposing – by far the most gentle looking mountain in the area, with a far more rounded appearance (I suspected this innocent looking facade would prove to be deceptive). Our first couple of days in the mountains were spent doing training hikes from the valley floor. 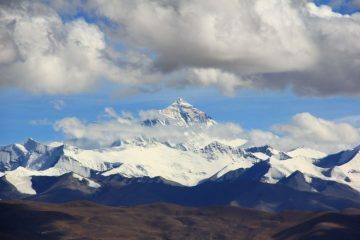 We averaged about 1,000m per day, and were pleased to be feeling fairly strong walking at this altitude. It was also on these hikes that Vern introduced us to pressure breathing, which is essentially just adding resistance to your expiratory breath. The point of this is to inflate more alveoli in your lungs, which can increase your tidal volume by as much as 10-15%. 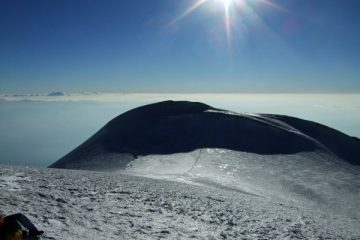 This technique was to prove invaluable on summit day, and even at the lower altitudes a couple of these breaths made a notable difference if you were feeling a bit breathless. 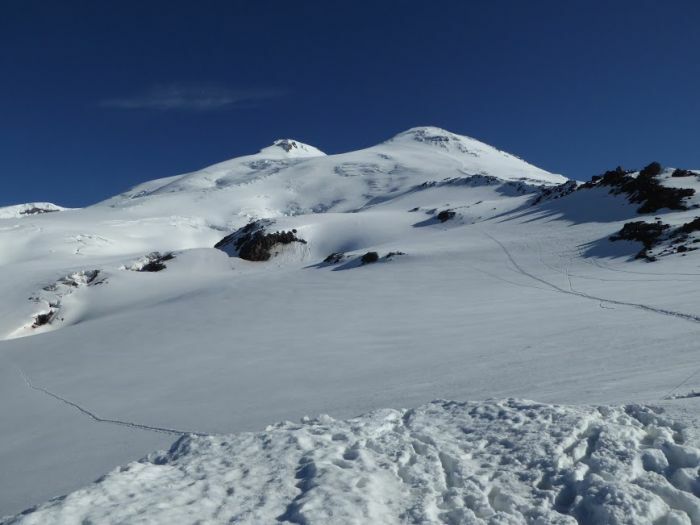 On the third day we took the ski lift to our “base camp” on Elbrus, the barrels at 3,600m. Barrels, as it turned out, are very civilised living conditions for halfway up a mountain, a bit like sleeping in a dorm room, bunk beds and all, albeit one with an amazing view. We settled into our accommodations, then headed out in rope teams across the glacier on a further acclimatisation hike. I was definitely utilising the pressure breathing to good effect by this point and the sudden jump in elevation was making me just a wee bit breathless. Day four, and we finally started heading up the mountain to the landmark of Pashkutov rocks. The perspective and judgement of height continue to catch me out on big mountains. The rocks looked close, but in fact it was another steady climb of 1,000m to gain our objective. Day five was a “rest” day during which we spent the morning practicing self-arrest skills, but it was 3am on day six which found us emerging from our barrels into the first light of day, ready to head for the summit. The logistics of our expedition (staying at our barrel base) meant we took a snow cat to the base of Pashkutov rocks to begin our ascent. As we began our steady trudge up the mountain, we were rewarded with the fantastic panorama of the main Caucasus ridge gradually lighting up behind us with the breaking dawn. 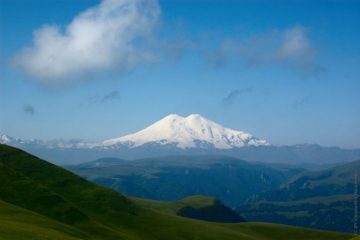 At length, we gained the saddle between Elbrus’ twin peaks, and began our traverse round to the west summit, the slightly higher of the two. For me, ironically, this was the toughest part of the climb, despite being the easiest gradient. 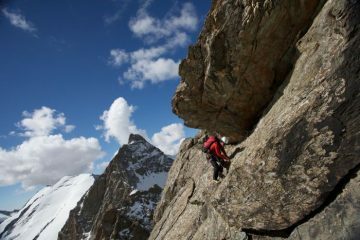 I think psychologically, when climbing uphill, you expect to be working hard and you’re mentally prepared for it. When you’re faced with a gentle, becoming flat slope, you expect it to be easy. 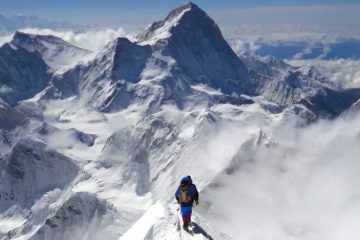 The problem is that at that altitude your body is still working pretty damn hard, and the difference between your expectation and the reality is tough to deal with. That being the case, the final push to the summit felt pretty good in comparison, and after an amazing climb in the sun Robert and I were finally standing at the highest point in Europe. We slept well that night. 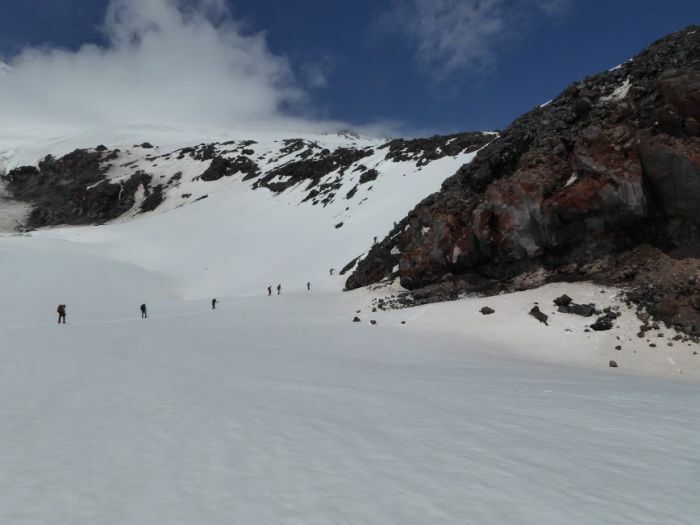 On our return from Russia, we spent some time taking stock of our performance on the mountain, and our continued commitment to our expedition. Training takes up a lot of free time, and when you work full time there is only so much of that. We definitely see less of family and friends. When we have arguments between the two of us, it is generally over time spent training and lack of free time. Ultimately though, we are both too invested in this expedition now to give up. The challenge is far too tempting. So we are turning out thoughts towards our next challenge, Argentinia’s Aconcagua, in about five months time. We are looking at our training regimes once again, stepping it up a level. We are also throwing more effort into our hunt for sponsorship. We are blogging, writing articles and will be spending considerable time wandering up Munros with fairly heavy packs on our backs. And if you find yourself in the Scottish highlands this summer/autumn, we may see you there. 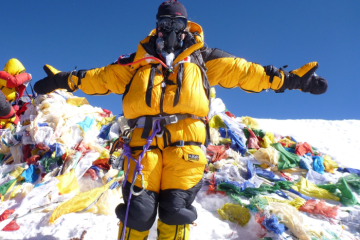 You can follow Rona and Robert’s preparation for climbing Mount Everest on their blog by clicking here.